Its look as though Google’s “I’m feeling lucky” button might be permanently removed from the search giants, query page. 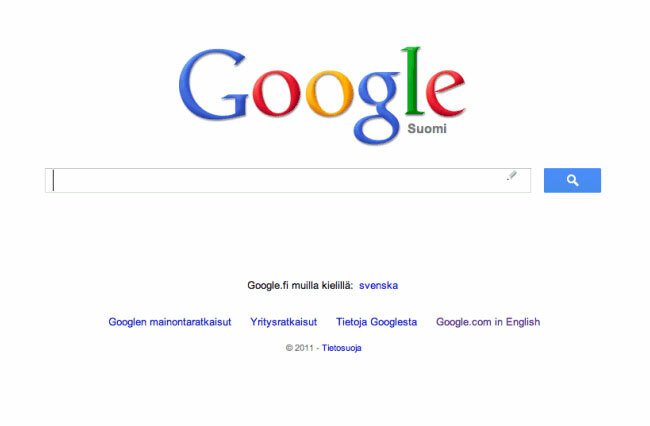 Going on new user interface designs currently being tested in Finland which show a Google search page without a “I’m Feeling Lucky” button. There’s been no official announcement by Google saying the button will or has been removed as yet, but with developments in Google’s new instant search perhaps the button is now no longer required. Originally the “I’m Feeling Lucky” button was designed to take users directly to the first search result, bypassing the search engine results page for their search. However, with the launch of Google’s new Google Instant search, its now not possible to use the button properly unless you first disable the Google Instant search function. What are your thoughts, would you miss the “I’m Feeling Lucky” button?